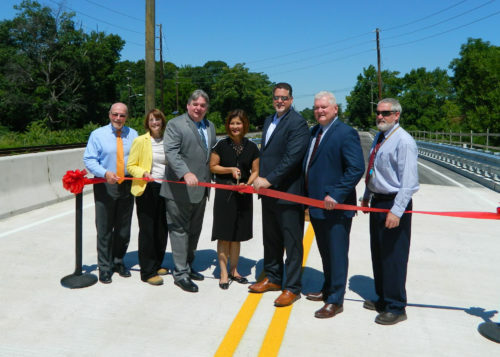 JMT staff joined Camden County, NJ, and local officials to celebrate the opening of the East Atlantic Avenue Bridge on July 19 – four months ahead of its original schedule. Our Construction Management and Inspection Services staff worked on the bridge replacement over Nicholson Road. The project included replacing the existing bridge structure, abutments, piling, roadway approaches, drainage improvements, and utility relocations, as well as shop drawing and document reviews.